It’s hard to imagine a time where negative news could come out about a candidate, and completely derail their campaign. Yet that is exactly what happened in 1988, when Senator Gary Hart was the front runner for the Democratic presidential nomination until news of his affair. All it took was three weeks for his bid to completely unravel, and Jason Reitman’s latest film The Front Runner tells that story in a way that really makes you think. Reitman doesn’t take sides when it comes to telling you who to root for in the story. “I don’t believe in heroes or villains. For this kind of movie, about real life, you don’t have heroes or villains,” he recently told me in an interview. That choice is what makes the film so compelling, as you are given all the facts and have to decide for yourself what to believe in. Do you believe that Gary Hart’s personal life should be left alone, and has no effect on his ability to do his job? Or do the people he is working for have the right to know what he is up to, shaping his character and possibly giving insight into his decision-making abilities. Reitman leaves it up to you to decide. The performances in the film are phenomenal. Hugh Jackman is coming off of a great year, having starred in hits like Logan and The Greatest Showman in 2017. 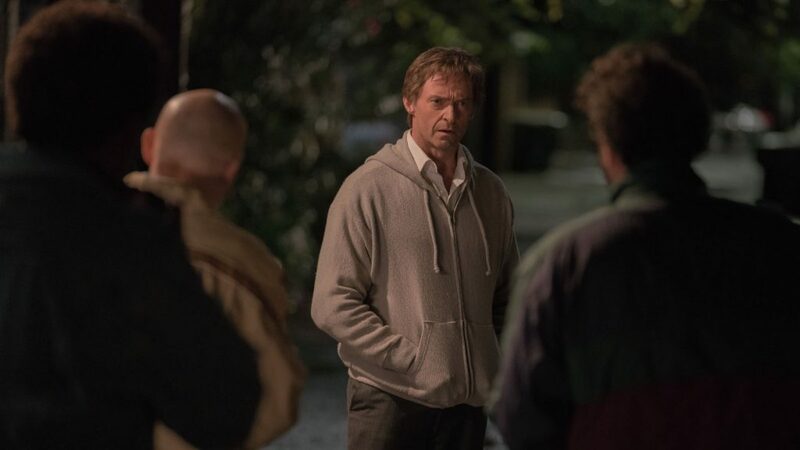 This is his only credit for the year, but the actor makes the most of it in this powerful, thought-provoking role. We are accustomed to seeing Jackman in roles that are larger than life, especially while playing Wolverine in nine X-Men films over the past two decades. 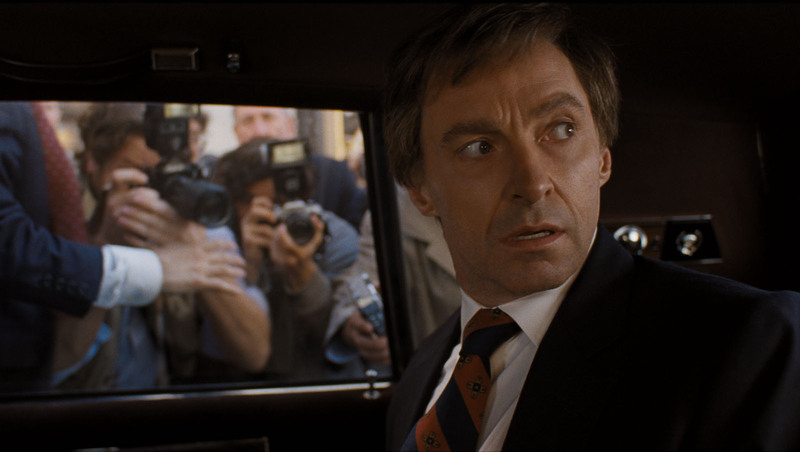 But his portrayal of Gary Hart is much smaller, and allows him to disappear into the role. This is one of the first times since 2013’s Prisoners that I’ve felt that way, and he does a terrific job conveying the humanity of the real-life subject. Vera Farmiga plays Gary’s wife Lee, who has some extremely powerful moments in the film – especially toward the ends. During the three weeks where her husband is trying to keep his career from falling apart, Lee is responsible for keeping their family from unraveling. Farmiga is no stranger to compelling roles like this, nor is this the actor’s first time working with Reitman. Her performance in the director’s 2009 film Up in the Air was fantastic. In this film, you can’t help but feel for her character as she tries to support her husband and most importantly, protect their daughter (Kaitlyn Dever). There is a great ensemble cast that fills the campaign offices and newsrooms in the film. J.K. Simmons is excellent as always, playing Hart’s campaign manager Bill Dixon. Alfred Molina plays Ben Bradlee, the editor of the Washington Post – the same character portrayed by Tom Hanks in last year’s The Post. Mamoudou Athie is terrific as Post reporter A.J. Parker, an amalgamation of several real-life reporters who questions the professionalism of covering what seems to be a tabloid story. Sara Paxton plays Donna Rice, Hart’s mistress whom he meets on a party boat toward the beginning of the film – the aptly named “Monkey Business.” It’s hard not to sympathize with Paxton’s character as she realizes that she has gotten in way over her head. She has some truly heartbreaking moments during the downfall. Other honorable mentions go to Bill Burr, Kevin Pollak, and Mike Judge – who is great to see pop up unexpectedly in a film like this. John Papsidera did an unbelievable job casting all of the actors for this project. 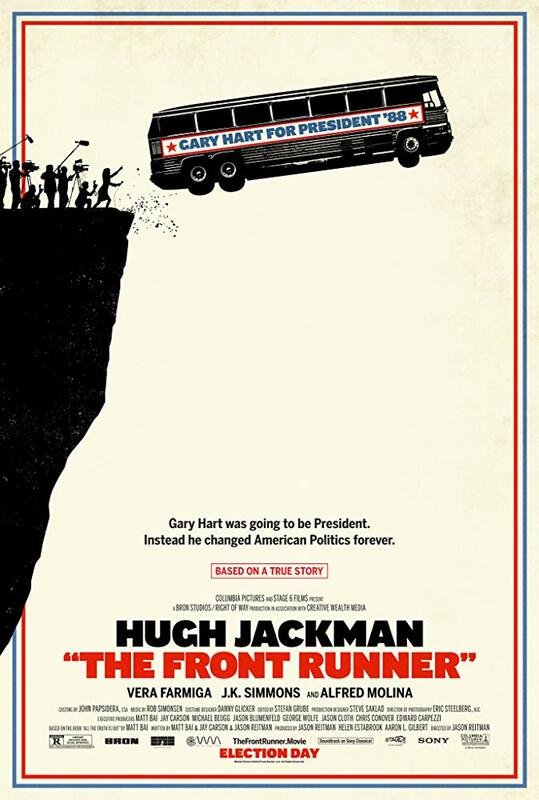 The Front Runner is a fascinating film, which may take place thirty years ago but has never felt more relevant than today. It captures the beginning of a time where politicians have become celebrities, and leaves it up to the audience to reflect and decide what is right. This is Reitman’s first attempt at capturing non-fiction, and he does a great job capturing the story through brilliant performances and unbiased storytelling. This is one that will keep you thinking long after the credits.